Pictured above (from left) are: Kevin Nelan, Julia Rivera, Francisco Gonzalez, Irma Campbell, Carlina Rivera, Nydia Velázquez, Kevin Sullivan, Matthew Washington, Daniel Allen, Lindsay Kirby, Deborah Morris, and Craig Tooman. Manhattan, NY Haven Plaza Square LLC, an affiliate of the Association of New York Catholic Homes and the New York Institute for Human Development (IHD); CTA Architects; and the managing agent The Wavecrest Management Team have broken ground on a $9.89 million natural disaster-resistant infrastructure building and associated resiliency upgrades at the affordable housing complex known as Haven Plaza. Haven Plaza Square LLC is the owner of the residential complex located on Ave. C between 10th and 13th Sts. on the east side. This new two-story structure plus basement and the upgrades throughout the complex are in direct response to 2012’s Hurricane Sandy, when the nearby East River overflowed its banks, the Con Edison East River Generating Station adjacent to Haven Plaza exploded, and, as a result, Haven Plaza lost all electricity and steam for heat. Residents – many elderly – were trapped without elevator service, electricity, heat, or water. Men and women of the National Guard shared their field rations with residents until the power returned. Build It Back was launched in 2013 to assist homeowners, landlords, and tenants in the five boroughs whose homes and properties were damaged by Hurricane Sandy. It was designed to support those whose needs were not met by the city’s Rapid Repairs program, NYS-sponsored buyouts, private insurance reimbursements, or federal loans. The funds for Build It Back, including those for the new Haven Plaza building, were provided by the U.S. Department of Housing and Urban Development (HUD) under the Community Development Block Grant Disaster Recovery Program. Haven Plaza Resiliency Building rendering courtesy of CTA Architects. “We look forward to the completion of the new infrastructure building. It will provide our residents with security and comfort in case of a disaster. 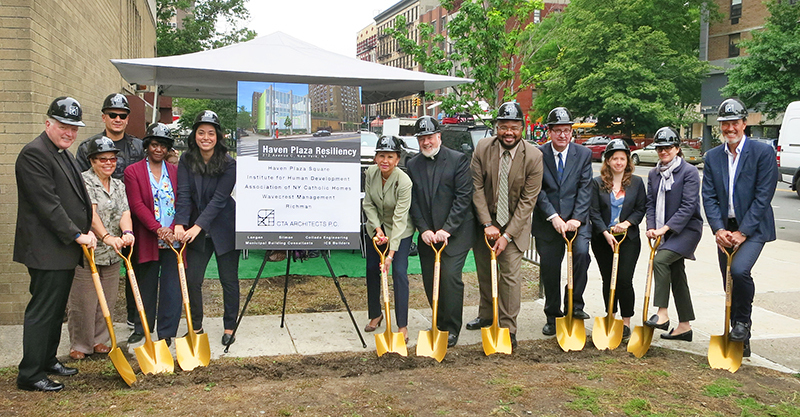 It will also lower our heating costs, while tremendously improving the architecture of the entire property,” said reverend Monsignor Kevin Nelan, president of Haven Plaza Square and Pastor at the Church of the Immaculate Conception in Manhattan’s East Village. “Haven Plaza’s return and its resiliency upgrades demonstrate the importance of investing in infrastructure and housing. We must continue to oppose efforts by the Administration to reduce or zero out funding for federal programs that support innovative projects like these,” added U.S. Representative Nydia Velázquez (D-NY). 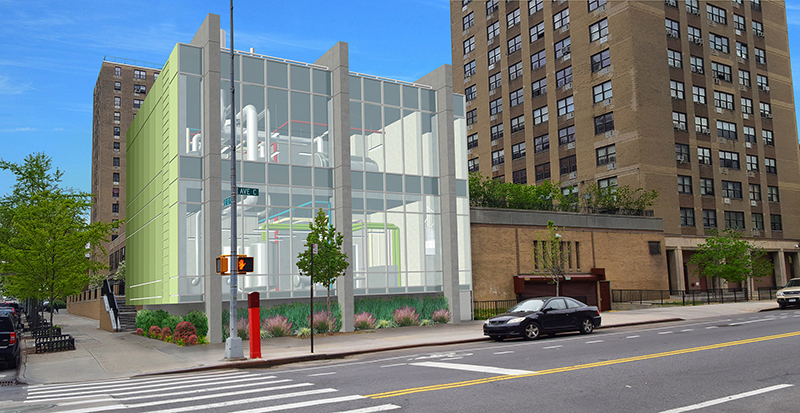 “The new 2,080 s/f building, located at 212 Avenue C at East 13th Street, will house three boilers for heating steam on the second level, with gas as the primary fuel; electrical meters, domestic hot water pumps, and hot water heaters on the first level; and oil backup storage in the protected sub-grade space,” explained CTA Architects principal Daniel J. Allen, AIA. “The new facility addresses Haven Plaza’s need to be self-sufficient during both regular operations and in case of a natural disaster, instead of relying on a costly ConEd steam supply. We also wanted the new structure to be architecturally attractive due to its visibility on a high-trafficked location within Manhattan’s popular East Village neighborhood. The front façade will be glazed to allow the passers-by to view the inner works of the building and equipment within,” he continued. Haven Plaza was built in 1968 as part of New York City’s initiative to combat urban blight. The 460,000 s/f complex has 371 affordable rental units. Haven Plaza consists of three high-rise buildings, a two-story building with 11 townhomes, and a 185-car garage. The complex also houses a supermarket and a medical services facility. Haven Plaza Square commissioned CTA, which has completed many projects at Haven Plaza over the past 14 years, to perform a resiliency study shortly after Hurricane Sandy. CTA, which has significant experience in infrastructure and building services planning, organized an experienced architectural and engineering team that recommended the building of a new, dedicated heating plant for the complex, in order to eliminate the need to rely on ConEd. The team included the structural engineer Robert Silman Associates Structural Engineering; mechanical, electrical, and plumbing (MEP) engineer Collado Engineering; geotechnical engineer Langan; and civil engineer Cameron Engineering & Associates. The general contractor for the new building and upgrades is ICS Builders, Inc.
CTA wanted the new building to be more than a utilitarian “box.” Thus, they incorporated interesting architectural details into the concrete structure. As CTA principal Craig Tooman, AIA, LEED AP explained, “We specified three poured-concrete columns that expand vertically throughout the height of the building, for visual impact. They take the form of ‘fins.’ In addition, the wall facing west toward Avenue C will be completely glazed, enabling passers-by, especially curious children, to get a glimpse of the equipment and operations within. This is quite unusual, as most such utility and disaster-mitigation structures are designed strictly for function. We hail our client Haven Plaza Square for realizing that the visibility of the location calls for a strong architectural presence.” When complete, the building will incorporate 1,300 square feet of glazed curtain wall, 1,500 s/f of metal façade panels, and 500 square feet of green wall. CTA and the engineering team’s first order of business was to perform a review and create a report with several options at different price points and technical solutions. “The tactic proposed was the wet flood protection method. This approach focuses on individually protecting utilities and building systems rather than attempting to secure the entire campus. 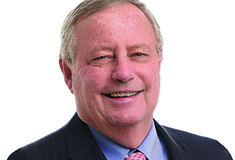 This proved to be the most realistic solution, and the one CTA recommended to, and was accepted by the ownership,” said CTA project manager Timothy Jagisch. Design challenges have included finding the right location for the new building in order to relocate the electrical and heat/steam boiler plant within a dense urban environment. The team found and settled on an unused corner space that had no playground, green space, or benches on which to put the new structure. The team had to coordinate with and attain approvals from multiple city agencies, including the New York City Department of Buildings and others that served as a conduit for post-Sandy relief federal funds. In addition, the Department of City Planning performed an extensive review and approved the project. Community Board 3 (CB3) holds jurisdiction and was therefore involved as well. The site for the new building is a heretofore-unused plot of land. The side wall of the new structure will be adjacent to the wall of the existing garage, with another side being adjacent to an elevated plaza leading to one of the buildings on the side facing the river. CTA has specified a green wall next to the elevated plaza. This green wall system will be composed of a vertical metal grid support system for vines, which will allow plants from the adjacent plaza to extend to the wall of the new building. The underlying metal rope lattice system was designed by CTA from commercially available components. The 13th Street side of the building will feature a metal panel system in different shades of green to reflect the colors of plants and vines to be planted around the building. The U.S. Federal Emergency Management Agency (FEMA) raised the 100-year flood line in Manhattan after Hurricane Sandy. The new building’s first floor will be one foot above the base flood elevation and six feet above ground level. The facility will feature poured-concrete floors with structural poured-concrete walls that allow for a column-free space inside. This was imperative in order to accommodate the large equipment. The foundation system will incorporate 15 100-ton-capacity poured-concrete underground pilings, which are necessary due to the low bearing quality of the soil. Specifically, that part of the East Village is located on a filled-in swamp. The pilings will feature caps, which will support the concrete floor slab on the first floor. The three vertical concrete “fins” that run perpendicular to Ave. C are not only decorative; they will play a structural role as well. Working as columns, they will support the concrete slabs, lift the entire structure above the flood plain, and allow for the fully glazed facade along the avenue. The location of the site’s underground utilities, which have to be protected, dictated the fins’ size and placement. The new structure was purposely designed to be visually different from the surrounding buildings. It is meant to provide a strong architectural statement without directly relating to the buildings already on the site. “Concrete-slab ceilings were designed without the typical concrete drop-ceiling beams for easier installation of ducts and other infrastructure,” said CTA’s senior architectural technician, Tamera Talbert. There will be a below-grade oil tank room with oil as a backup fuel for the steam system. The tank will be waterproofed to prevent any interruption of the system in case of a flood. The first floor will house hot water heaters and electrical meters. The second floor will house three boilers for heat steam. The roof will be shallow pitch with waterproofing membrane. CTA wanted to design the building in such a way as to continue to accommodate open outdoor space. Therefore, they left a courtyard in the back and “pulled away” the new building from the adjacent buildings to provide additional open space around it. At the same time, the landscaping around and on the building will become an important part of the finished structure. The building itself will “float” five ft. above ground as a flood-mitigation measure, so the team specified landscaping all around the concrete base to hide it as well as to make the building appear lighter. Sea grass and brush-type plants – both drought-tolerant and capable of surviving saltwater in case of another East River flood – will be used extensively. An automated watering system will supply water to the plants at the base as well as the vines of the green wall. “The energy-efficient lighting system will feature all LED fixtures and will include outside lighting at the base of the perimeter to highlight the building’s architecture at night. Inside, all lighting will be LED and has been configured to be not only utilitarian but to give the equipment a strong presence to passersby,” added Talbert. To keep the rest of the complex safe during a flood, CTA’s plans call for upgrades to the existing structures to protect utilities and building systems. In particular, many elements of the electrical system will be elevated. Currently, many electrical components are located on the first floor of the buildings. These will be moved to higher elevations. For example, wall-mounted electrical equipment will be moved higher on the walls. Concrete platforms will be built for the larger equipment installed on floors. All equipment will be installed at least one foot above the new FEMA flood plain. In the townhouses, the electrical meters are currently located at a central below-grade meter room. All meters will be relocated to the new building and installed there. For the three high-rises, all elevator systems will be upgraded as well. According to Jagisch, “Each elevator shaft will have a flood sensor; once the sensor detects water, the cabin will automatically move to a higher elevation. Tenants will be able to use the elevators once the water recedes. This will eliminate the cost of renovating or replacing the cabins after a flood.” Electrical work will also include installing new wiring and platforms for portable power generators in all three buildings to be brought in in case of emergency to supply electricity to the building, including for lights and elevators.